Ok, so everyone already knows that I'm a big dessert junkie, but I also love a really good wine. Needless to say, a good dessert wine is right up my alley and if the price is less than $15, its a REAL score! Our friend Bill in Scottsdale found this Risata Moscato d'Asti for us last week and boy was it a big hit! 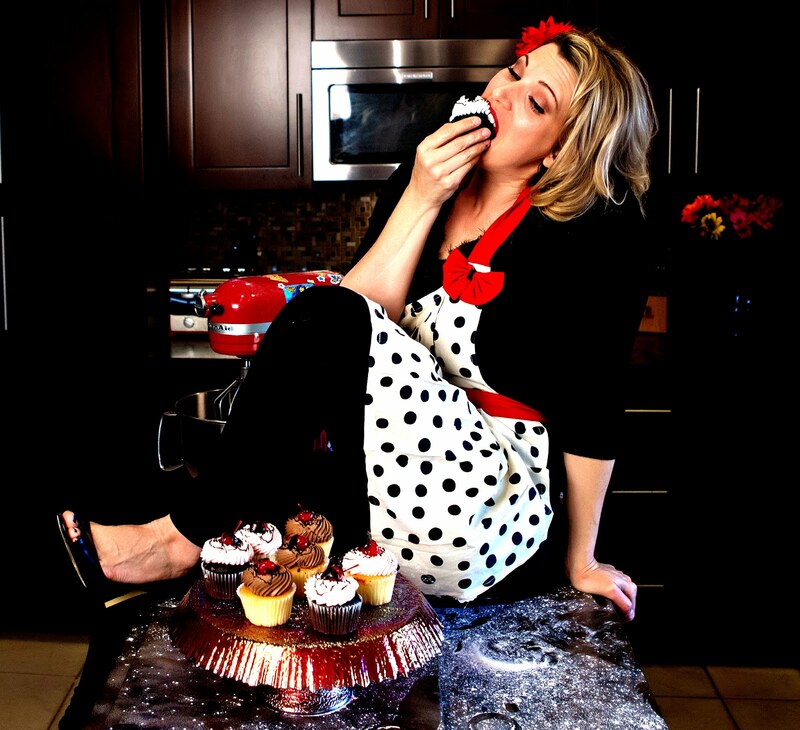 The second I tasted it, I began pairing it up with foods, thinking of recipes for it, and incorporating it into my catalog! Target has it and Costco has it for a VERY reasonable price. 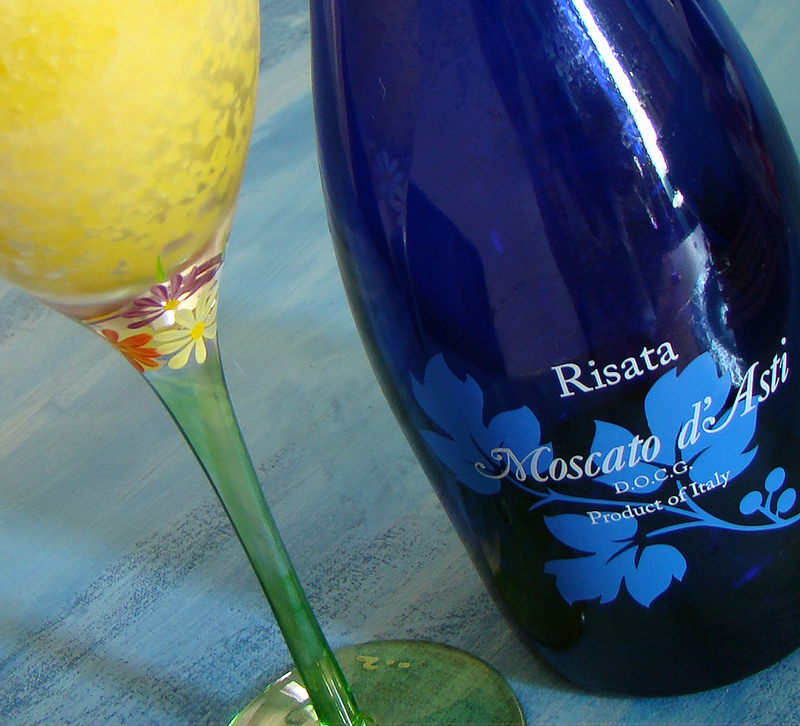 It's a great, sweet, bubbly dessert wine that's only 5% alcohol, so feel free to indulge and drink! 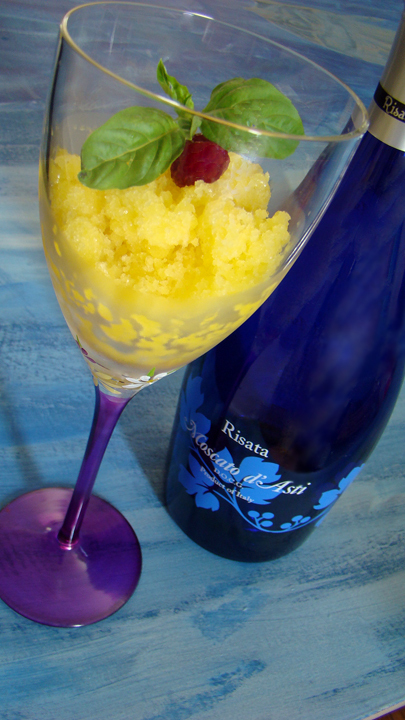 As soon as we got home I bought some frozen mango chunks because I knew it would make a great "granita" or Italian Ice. There's NO sugar added to this recipe, there's no ice cream maker needed, just a blender, a pan and a fork. It's a light, impressive, elegant end note to a nice pasta or chicken entree. These would also be great at brunch as a "Frozen Mimosa." Serve them in a cute little wine glass or champagne flute, and you've got eloquent flare and figure friendly fun on a hot summer day. I'll definitely be serving this as a spotlight for my next gathering!